The ideal tool for winter, spring, summer and/or fall. Patented Power Steering: Turn on a dime. Wheels can be disengaged independently or simultaneously with trigger controls making turning, reversing and steering easy. Simple Height Adjust: The broom height can be fine-tuned in 1/8-inch increments by simply moving two pins. This makes leveling basically foolproof, and allows for precise surface engagement. 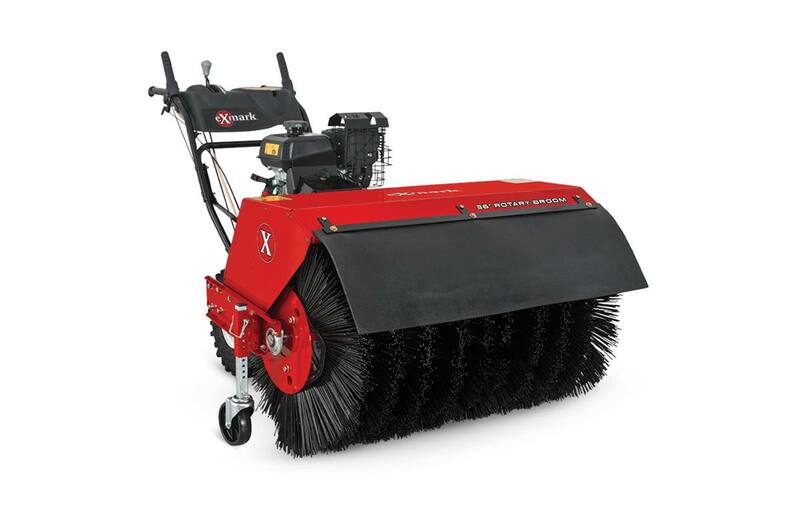 User-Friendly Controls: Independent control levers engage the broom and drive systems separately. So you only sweep what needs sweeping. Adjust the broom angle 20° in either direction with a simple thumb latch. Designed for Durability: The commercial-grade Kohler Command™ pro engine adjusts for multi-season use simply by rotating the air intake. Six forward positions and two in reverse can efficiently handle any job.